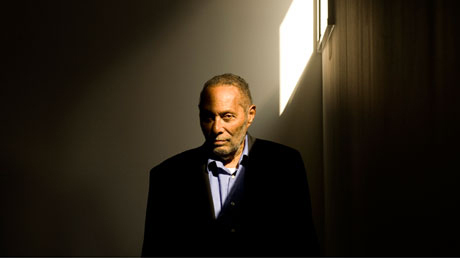 This past Monday (February 10th, 2014) marked the passing of Stuart Hall (82), one of the founders of Cultural Studies as an academic discipline. As one of today’s most influential thinkers, Hall directed academic discussion and discourse towards the questions of identity, media, the mutual interplay between culture, race, gender. These three words (actions) contain within themselves the penetration of the hermetically sealed, or if you will, self-centered Academy, which “chooses” what is worthy to study, as it lives in the crevices of its old cabinet spaces and even older theories, and “deserving” themes and areas of research interest, set in stone. Stuart Hall was born in Kingston, Jamaica, in 1932. In January 1960, the first edition of the New Left Review was published, edited by Hall. The journal was characterized as the “flagstone of Western Leftist intelligentsia”. Under Hall’s tutelage, NLR focuses on popular culture. In 1964, Hall, at the invitation of Richard Hoggart, joined the Centre for Contemporary Cultural Studies at Birmingham University. In 1968, after Hoggart’s departure, Hall becomes its acting director. During his tenure, the Birmingham Centre radicalizes its activities by expanding its research interest so that they include mass and popular culture topics. In 1979, Hall leaves Birmingham, as he accepts a position as a professor of sociology at UK’s Open University. He retires in 1997. The news of Hall’s passing reminded me of Tim Adams’s text published last summer in The Observer. Adams reminds us how much young Hall, i.e., the titular hipster, fresh off the boat from Jamaica, stands out from the rest of the British academic scene. Adorning a beard like Che’s, with a differently hued skin color and fresh energy behind his definite opinions. Hall remains one of multiculturalism’s strongest voices, disregarding the terms’ problematic and controversial nature. He is one of those voices that managed to get the Academy to shed its elitist exterior, turning its attention to questions that are current to this day – popular culture, encoding/decoding, mass communication, i.e., questions on hegemony and identity, on the use of power and media. Throughout his work, practical and theoretical, Hall never feared his politically engaged discourse. For Hall, science and cultural studies cannot be locked into university laboratories or between book covers. Much like the motto, “think-debate-act”. Without action, thinking and debating are a colossal waste of time.